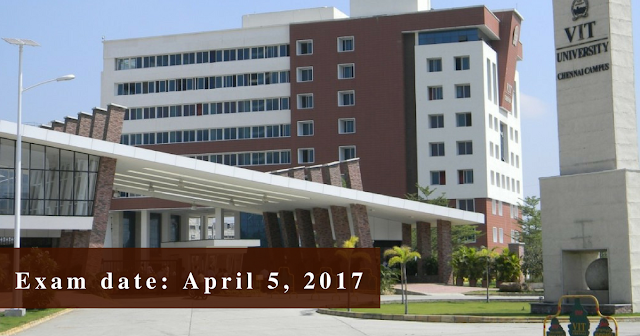 VIT Engineering Entrance Examination (VITEEE) is the all India level entrance examination organized by the VIT University from 5th April to 16th April 2017. Through this examination, admission to 5,000 B.Tech seats in the Vellore and Chennai campus of VIT University is provided. The examination is conducted in 118 cities of India. The candidates can check the complete details about VITEEE 2017 from this article. NRI candidates are eligible to apply for VITEEE 2017. PIO and OCI holder are also eligible to apply for VITEEE-2017. (Foreign Candidates studied/studying in abroad can apply directly through foreign category only).The candidates who are appearing/passed his/her higher secondary examination from the state board, Central Board of Secondary Education (CBSE, New Delhi), The Council for Indian School Certificate Examination (ISCE, New Delhi) are eligible to apply for VITEEE 2017. The National institute of Open Schooling (NIOS) candidates are also eligible to apply. Minimum 60% marks in aggregate is required in Physics, Chemistry, Mathematics/Biology at 10+2. The candidates belonging from SC/ST category or North Eastern states are required to obtain 50% aggregate marks in PCM at 12th standard. Students studied in Regular, Full Time and Formal Education are alone eligible to apply. Age limit: The candidate must born on or after 1st July, 1995 to be eligible for applying. Courses: VITEEE is conducted for admission to B.Tech programme. Number of Questions: Total 125 questions will appear in the examination of VITEEE. Number of Sections: Questions will be asked from Physics, Chemistry, Mathematics/Biology subjects. Question Paper Type: The questions asked in the examination are of objective type having four alternative options. Exam Duration: Total time of 2 hours and 30 minutes will be provided for the VITEEE computer based test. Marking Scheme: Every question will carry 1 mark. Negative Marking: No mark will be deducted for the wrong answers as there will be no negative marking. There is no better preparation for VITEEE than reaching Milestone 9 - Nirvana before your exam day.